Houston's Luxury Custom Home Builder | Best of Houzz! LIVING BETTER STARTS HERE™ We believe we do this by focusing on our client's experience, and building strong relationships with our Clients, Trade Partners and Employees. The result is an exceptional custom home or renovation - but MORE IMPORTANTLY a life changing experience. Alair Homes is an award-winning custom homes and renovation company. Your experience is our primary focus, and that starts long before construction begins. We've built our business on transparency, aligning our process with your needs, and delivering a superior product on time and on budget. We want you to start living better now. Previously Bolio Custom Homes. We are a Custom Homebuilder based out of Houston, Texas. We specialize in building Your Dreams! From our Build On Your Lot program or our Custom Remodels. We build all throughout Greater Houston and its surrounding counties. From the skyline of Houston's Inner-Loop - to the Hills of Brenham; Coastal to Country - or - Suburban to Urban WE BUILD WHERE YOU LIVE! Whether Building On Your Lot is your dream - or living in one of our popular Single Family or Townhome projects inside the loop is where you want to be, we'll help make your dream a reality. Wanting to build a New Home is a Dream that we all have. We at Zander Homes want to help create a home that reflects who you are! That fits your personality & expresses your own unique style. Precisely what you Want - Exactly where you want to Live! With our experience and expertise that you Deserve! ~Justin Henry (Owner, Zander Homes). 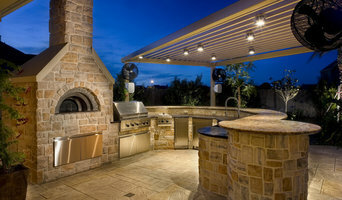 Since 1997, Design Tech Homes has continued to grow as one of the largest, family-owned custom home builders in Texas. We have built some of the finest homes in Houston and Central Texas areas and continue to provide our clients with the excellent work they have come to expect. Recently, we have added a new division which provides the Houston area with home remodeling services. Our company's turnkey service and quality construction set us apart. Each of our homes undergoes a comprehensive, third-party inspection process and exceeds the industry standards for energy efficiency. As part of our standard for quality assurance, each home is covered by a 20-year limited structural warranty. We invite you to join the Design Tech Homes family where we have been the builder for more than 2,500 satisfied homeowners. For Humble residential home builders who also act as developers, the job starts well before the first nail is driven. They perform local market research to determine whether the prospective homesites make sense in the Humble, TX market, as well as survey the land on which the house will be built to make sure it is suitable for construction. Custom builders also obtain the necessary permits. 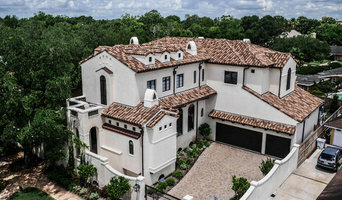 A good custom home builder in Humble, TX has skills that go far beyond construction — he or she must supervise subcontractors and artisans; keep tabs on local zoning regulations, building codes and other legalities; inspect work for problems along the way; and perform dozens of other roles that are essential in building a quality house. Here are some related professionals and vendors to complement the work of home builders: Interior Designers & Decorators, Landscape Architects & Landscape Designers, Architects & Building Designers, Kitchen & Bath Designers, Specialty Contractors. House builders are responsible for ensuring that the home-building project sticks as closely as possible to the specified timetable, particularly in the event of change orders. 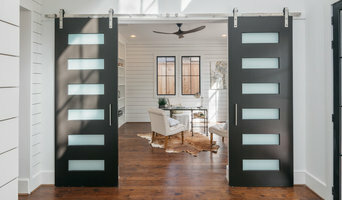 Custom and luxury home builders in Humble, TX also need interpersonal skills to deal with clients of all types, soothe frazzled nerves, negotiate conflicts and resolve problems. Find custom home builders in Humble, TX on Houzz. Narrow your search in the Professionals section of the website to Humble, TX home builders. You can also look through Humble, TX photos to find a house you like, then contact the builder who worked on it.